I can’t sleep. Literally I can’t sleep because of Cardinal Dolan’s invite of President Obama to the Al Smith charity dinner. Obviously this invitation of the President and the other party’s nominee is a small “t” tradition. Even Cardinal Egan didn’t invite Senator Kerry eight years ago because of the scandal it would have caused. Yes I said scandal. The media must be licking its chops for the opportunity to photography Cardinal Dolan and President Obama side by side and Obama may be laughing his way to re-election because of it. What gives? 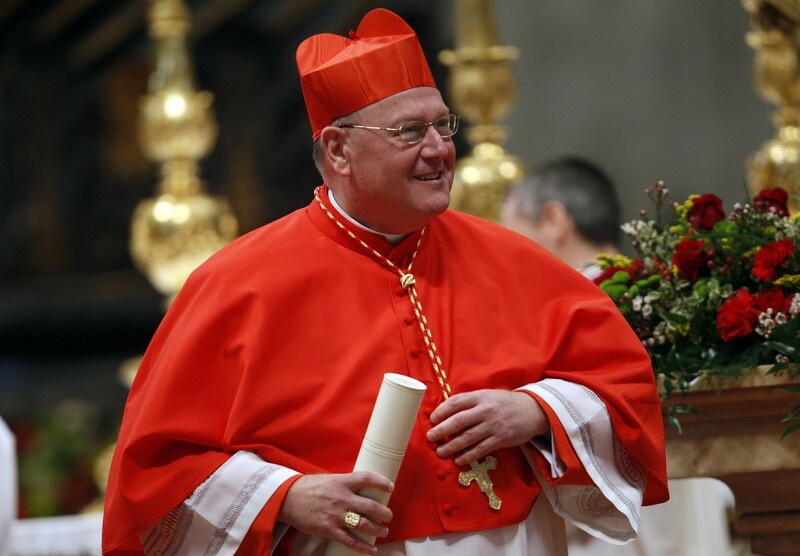 Cardinal Dolan can’t be this politically and spiritually inept to know the scandal this will bring can he? Is this not equivalent to inviting Pontius Pilate to the Last Supper? “Hey Pilate you’ll condemn me to death in a few hours but let’s laugh it up over dinner and wine before it happens.” This is outright madness! 191 Bishops have spoken out against the HHS mandate. 40 plus diocese and catholic colleges have sued the Obama Administration over the mandate. And back in the day 77 Bishops spoke out against Obama’s invite to Notre Dame. I thought we were finally headed in the right direction. Have we not learned anything? How is inviting Obama to a charity dinner to raise money any different than inviting him to Notre Dame? Not to mention Cardinal Dolan was one of the first people to speak out against it. Seriously what gives, how is this any different? In recent days I’ve heard some lame reasons for the invite. That it’s for a charity and raises money for the poor. To me that’s like saying Judas raised money for the Potter’s field so it was okay to take the money to hand over Christ. Serious what is the reason for this invite? Another reason I’ve heard is maybe its strategic or it’s to show that Catholic’s are above it all and have no ill will towards the President. If its strategy it’s to jumping off a bridge, and then asking for forgiveness on the way down to try and get to heaven. Hey it’s a strategy. If it’s to show we have no ill will towards the President I can think of many better ways to show that, grab a rosary for goodness sake and pray for him. In my mind it appears the current crop of US Bishops are more concerned about looking good in the “public” eye than they are about looking good in Christ’s eyes. I don’t know Cardinal Dolan’s intent or heart, of which I will not judge, but I will judge his actions and this action is insane. I’ve lost a lot of respect for Cardinal Dolan (A LOT OF RESPECT) in the past few days; he’s created Catholic Scandal when it was completely avoidable. And so far there’s been nothing but crickets chirping as to why he did what he did. I think he owes us all an explanation big time. Lord help us and Cardinal Dolan.